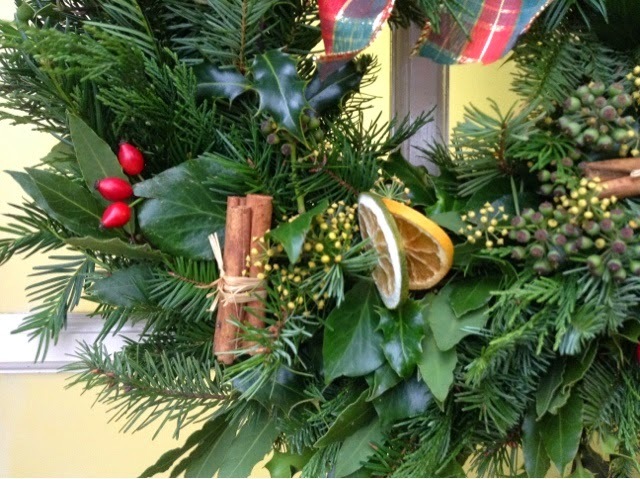 Have you ever fancied having a go at making your own Christmas wreath to hang on your door? 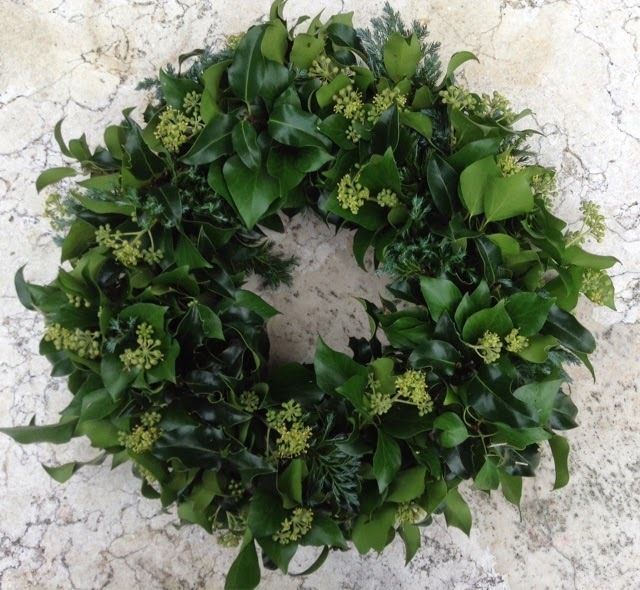 On Friday 5th December I will be running a festive evening of Christmas wreath making. The workshop will be held in the Hill Road Market building on Hill road, Clevedon and will run from 6.30pm-9pm. The evening will start with a glass of mulled wine or spiced apple juice and a homemade mince pie. Whilst you are enjoying your drink I will show you how to create a beautiful original wreath for your door including lots of gorgeous Christmas foliages. 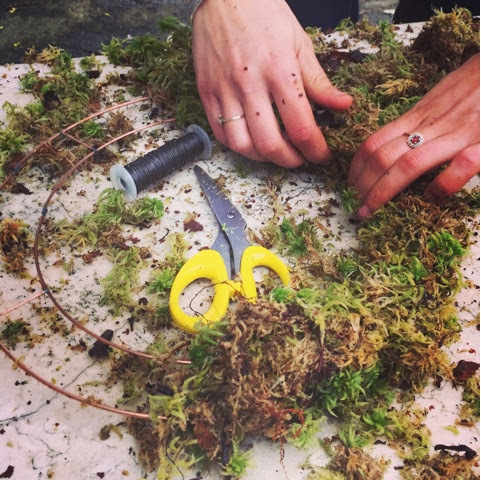 All our wreaths will be made in the traditional way using a wire frame and fresh moss. Once you have made your base everyone will then decorate their wreath using a selection of different Christmas items, including scented dried orange slices and cinnamon sticks, pheasant feathers, Christmas baubles, berries, fir cones and much much more! 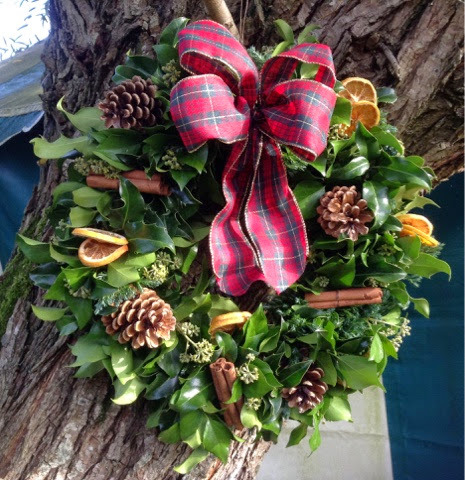 All the wreaths will be finished with a beautiful Christmas bow to fit in with your Christmas colour scheme. 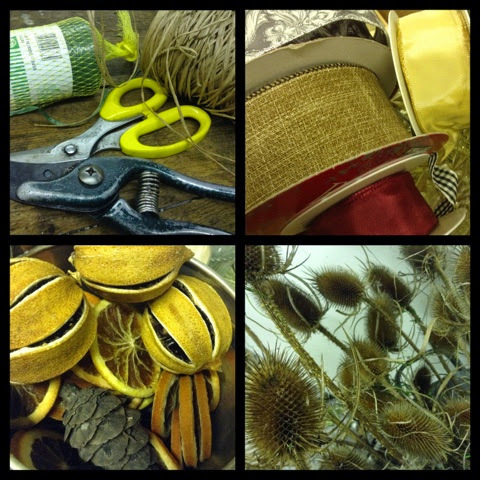 The workshop will cost £35.00pp which includes all materials, tuition and your welcome drink and mince pie. The ladies who run the market will also be selling additional mulled wine and nibbles along with a selection of other Christmas items so don't forget to bring your purse! Places are filling up fast so please book soon. Please email me at sleastwood@hotmail.co.uk or pop into the market on a Friday or Saturday to secure your place!